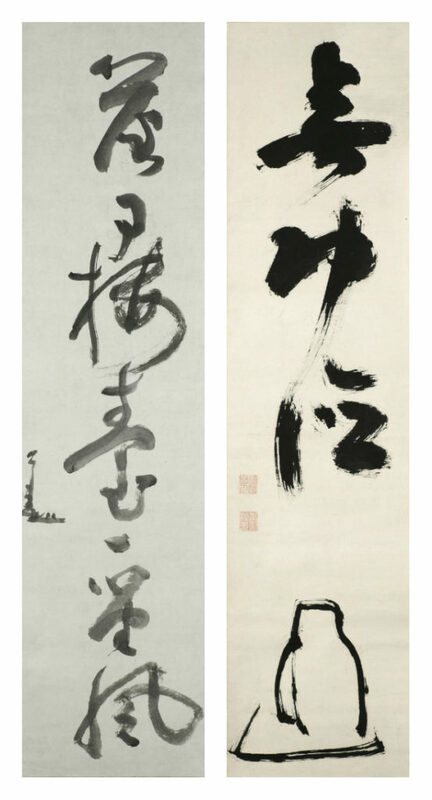 Ensô (featured image above) painted by the accomplished, 20th century, Zen master Inaba Shinden depicts a symbol central to Zen meditative practice. 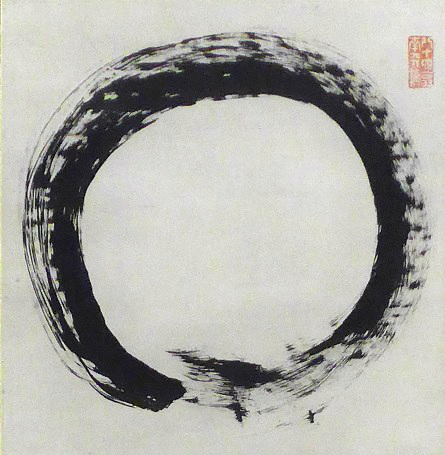 The ensô, meaning “circle”, is one of the most common subjects of Japanese calligraphy. Ensô can symbolize no-mindedness, the perfect meditative state. An artist is said to meditate for an extended period of time with the ink, pen, and blank paper before drawing the shape in one motion. The shape that results on the paper comes to represent the inner state of the artist. There are only a few painters renowned for excellent creations of this seemingly simple shape. The ensô symbol of an artist can express a time in their life when they are able to let the spirit create through the physical body. Scrolls with the shape are often given to Zen devotees by their masters to meditate upon. Shinden’s ensô is closed, which may refer to the connectedness of all things, the spirit of harmonious cooperation, personal development and refinement of character, the visible and the invisible, absolute fullness in emptiness, simplicity, and other interpretations. The vastness of the symbol’s meanings can seem overwhelming. It is the role of the viewer to take their own interpretation from the symbol that suits their personal journey. There are many contemporary artists that apply a Buddhist worldview to their artistic practice, achieving a variety of results, ranging from overt to more subtle. In a parallel way to how Inaba Shinden meditated and created his Ensô, the artwork becomes an expression of the artist’s inner self and the way in which they experience Buddhist philosophy. Mid-20th Century artists including Mark Tobey, John Cage, the Beat artists, Nam June Paik, Yoko Ono, and Laurie Anderson express a contemporary relationship with Buddhism through their acts of creativity, demonstrating the amazing capability of Buddhism and meditative practice to adapt across cultures and time periods. There is a substantial tradition of conceptual American artists influenced by important figures such as D.T. Suzuki who worked to bring Buddhism to the United States, thus influencing art throughout the western world during that period. AGGV will, in the near future, welcome an anticipated exhibition with multi-year research and community outreach components entitled, ‘In the Present Moment: Buddhism, Contemporary Art and Social Practice’. The history of Buddhism in North America and the way in which the varied practices have adapted to suit new cultural surroundings are important for understanding its profound influence on artists and thinkers. 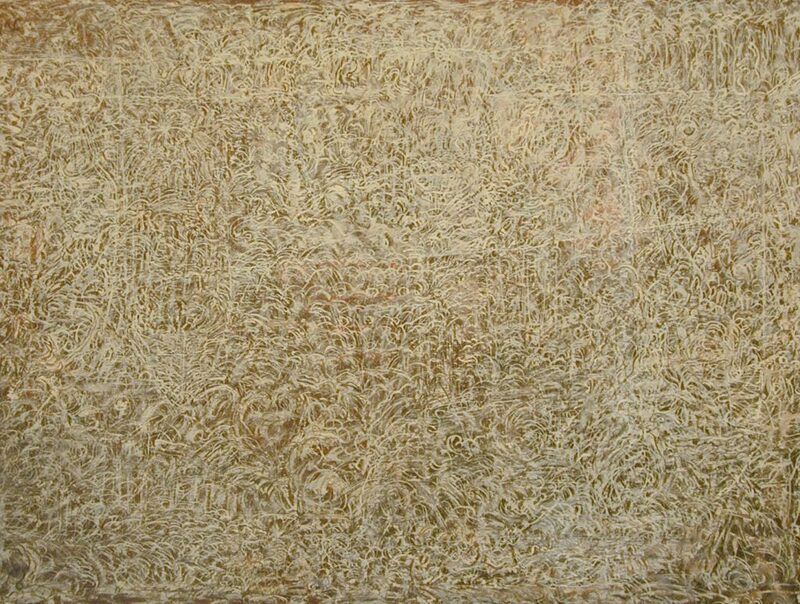 The exhibition will delve into that history and explore Buddhism’s continued influence with artists’ works on display ranging from scroll paintings like those by Jian Kozuki and Gibon Sengai (pictured above), conceptual and performance artists, and contemporary commissioned artworks made for the show. Central to the exhibition are themes of meditative and experiential looking. Much like the ensô, it lies with the viewers to derive meaning from a work of art using the experiences and understanding they have gained throughout life. Some works of art, especially conceptual art, can seem opaque or difficult to understand, but we all possess the tools to look deeply and derive meaning using clues from the world around us.